Judges hand blogger in 'poor psychological condition' death penalty for Facebook posts in latest shocking sentencing. 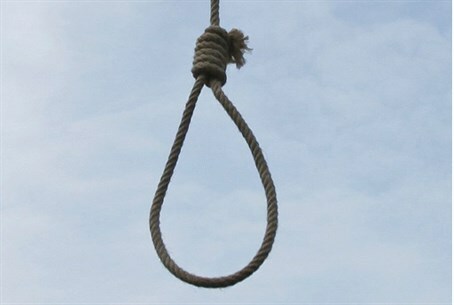 An Iranian court earlier this week sentenced a blogger to death for insulting the Muslim prophet Mohammed. The International Campaign for Human Rights in Iran said 30-year-old Soheil Arabi was found guilty of sabb al-nabi - "insulting the prophet" - on August 30. He was arrested along with his wife in November of last year, after Revolutionary Guard forces kicked down his door while he and his family were still sleeping. Arabi was accused of using numerous Facebook accounts to post messages deemed insulting to "the imams and the prophet Mohammed," but claimed in court he had done so "without thinking and in poor psychological condition", an informed source told the human rights group. His wife was released shortly afterwards but he was detained in Iran' notorious Evin Prison - for the initial two months in solitary confinement. The source emphasized that Arabi was in poor psychological health, and accused the judged of handing an overly harsh sentence even by the Islamic Republic's draconian standards. "Article 262 of the Islamic Penal Code states that if a person insults the Prophet of Islam, his punishment is death. But in Article 264, it explicitly says that if a suspect merely claims in court that he said the insulting words in anger, in quoting someone, or by mistake, his death sentence will be converted to 74 lashes," said the source. "I would like to emphasize that if only the suspect claims this, he will not be eligible for death, and there is no need to even prove his claim." "Unfortunately, despite this Article and the explanations provided, the judges issued the death sentence. They didn’t even take any notice of Soheil’s statements in court in which he repeated several times that he wrote the posts under poor [psychological] conditions, and that he is remorseful. Three of the judges ruled for the death sentence, and two ruled for imprisonment." The sentencing took place in the same week as six Iranian youths were given 91 lashes and up to a year in prison for producing a viral video showing them dancing to US artist Pharrell William's to hit single "Happy". The three men and three women had their sentences suspended for three years, meaning that it would only be carried out if they repeat any similar "offenses" during the next three years.